Breastfeeding means not only healthier moms and babies, but a healthier community. Besides reducing health care costs, workplace support of breastfeeding moms when they return to their jobs can even improve productivity through decreased absenteeism of both moms and dads and improved morale. Get the facts. Given the strong medical evidence about the benefits of breastfeeding to the long-term health of children and mothers, most moms say they intend to breastfeed. But while over 90% of Nebraska moms intend to breastfeed, under 26% continue to the 1 year recommended by the American Academy of Pediatrics. Clearly, moms need more support. Healthcare professionals, family members, employers, and the community at large - everyone can play a role in ensuring that our children have the best possible start in life. 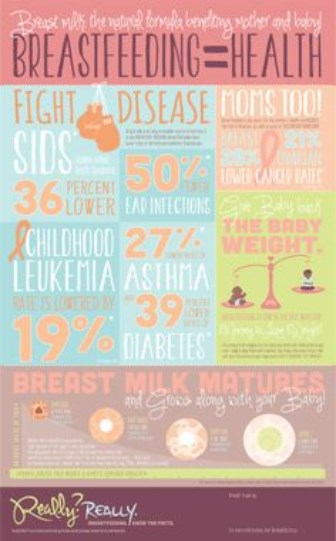 Breastfeeding saves lives and reduces risk for medical conditions. Recent research shows that if 90% of families breastfed exclusively for 6 months, nearly 1,000 deaths among infants could be prevented. Benefits for baby include reduced risk of SIDS, ear infections, upper respiratory infections, childhood leukemia, obesity, diabetes, gastrointestinal issues, asthma and more. Benefits for mom include reduced risk of breast cancer, ovarian cancer, type II diabetes, and postpartum depression. The United States would save $2.2 billion per year in medical care. Costs are lower for fully breastfed infants than never-breastfed infants. Breastfed infants usually need fewer sick care visits, prescriptions, and hospitalizations. Breastfeeding helps make a more productive workforce. Mothers who breastfeed miss less work to care for sick infants than mothers who feed their infants formula. Employer medical costs are also lower. Benefits for employers include higher productivity, lower health care costs, decreased absenteeism, higher loyalty, lower turnover rates, better job satisfaction, and enhanced overall company image and recruiting benefits. Breastfeeding is better for the environment. Formula cans and bottle supplies create more trash and plastic waste. Breastmilk is a renewable resource that comes packaged and warmed. In 2011, the US Surgeon General issued a national Call to Action to Support Breastfeeding. 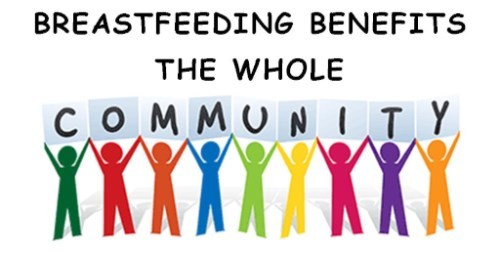 This report recommends widespread community efforts to create a supportive environment for new mothers in order to increase breastfeeding rates and improve the health of the nation. The American Academy of Pediatrics and the American Academy of Family Physicians were joined in February 2016 by the American College of Obstetricians and Gynecologists in recommending babies be exclusively breastfed for the first 6 months, with continued breastfeeding as complementary foods are introduced through the infant’s first year of life or longer as mutually desired by mother and infant. According to the 2016 Centers for Disease Control and Prevention (CDC) report card, among children born in 2013 only 50% of infants in Nebraska were still breastfeeding at 6 months of age, and only 30% were breastfeeding at 1 year of age. According to data from the two maternity care hospitals in Lincoln, 91% of moms intend to breastfeed. The 2014 data from our two local WIC clinics shows about 87% of moms on WIC in Lancaster County were breastfeeding at 1 week, under 53% by 8 weeks, only 20% at 6 months and 11% at 1 year. 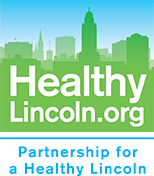 Partnership for a Healthy Lincoln is part of the Lincoln Community Breastfeeding Inititaive (LCBI). The LCBI is a collaborative local organization working to provide resources to create a baby friendly community that supports new moms. On the pages listed below, individuals and organizations can find information and links to resources to help support breastfeeding, in the home, in the workplace, through healthcare providers, and the community.